Hello again, Duck & Buvette! I have nothing against D&B so it was okay for me to eat there. And luckily, they have new dishes! Duck & Buvette now serves dishes like Mustard Rabbit (PHP440) and Braised Frog Legs with Herby Breadcrumbs (PHP280) which made the exotic foodie in me excited. But… those were not available when we visited. 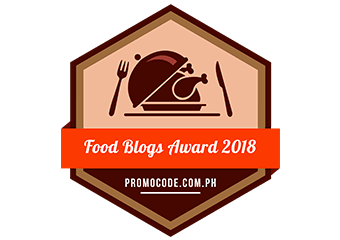 So, we ordered the following instead: Grana Padano Cheese with Quezon Wild Honey (PHP190), D&B Crispy Half Duck Confit (PHP980) and the family favorite, and the 8 Hour Angus Briskets (PHP370). 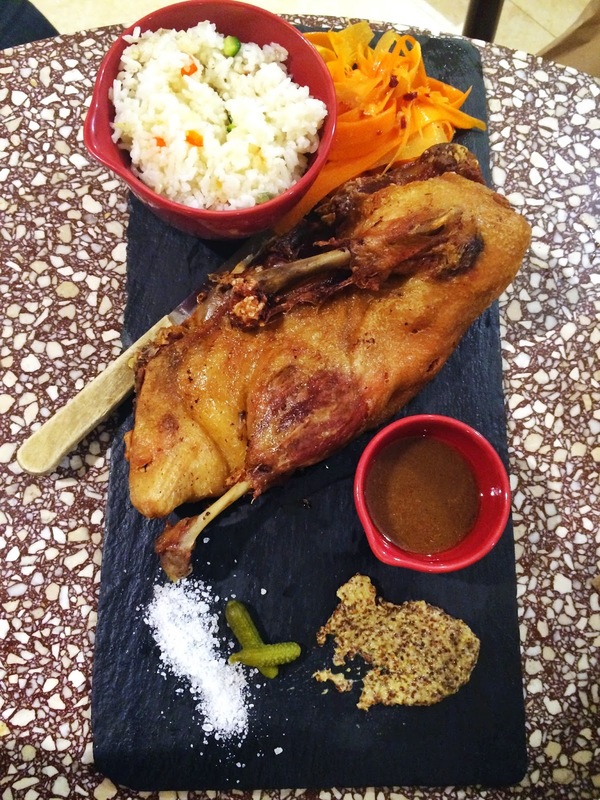 And finally, the in demand duck confit. The skin sure was crispy… and oily. I guess the duck fat was really something else. The flesh was juicy and it had a lighter texture. My mom loved the tangy whole grain mustard and the reduced balsamic sauce. The duck went amazingly well with the ratatouille duck rice. I can’t wait for D&B to serve the rabbit stew and braised frog legs on my next visit. I’ve never had rabbit before so that will be something to look forward to. 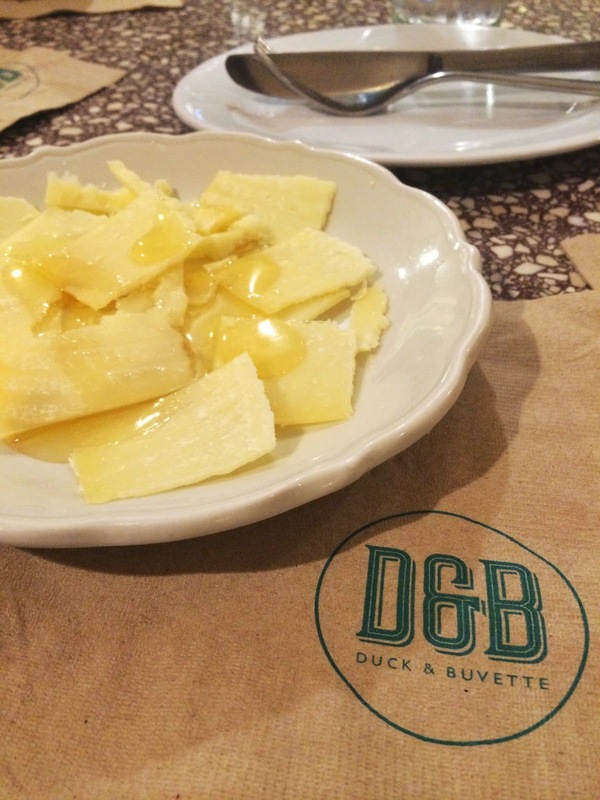 Duck & Buvette is located at 2nd floor, Shangri-La Plaza Mall Main Hall, Mandaluyong City.